Patch your EC2 windows machines with a simple click and pay as you go with very small upfront cost. This version has been removed and is no longer available to new customers. Note: Always ensure your operating system is current for your needs. A great product to patch your windows AWS instances(EC2) with no effort and low cost. Patching is crucial to keep your servers(EC2) from security threats. Our product helps to do patching in two easy steps. 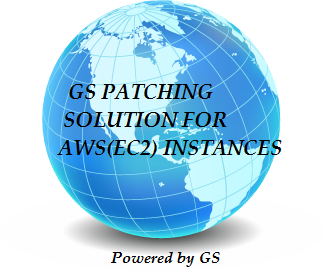 one, browse to our patching console running locally on the GS Patching console server that you subscribed from AWS market place to populate your EC2 instances associated with your account, two, select the servers you want to patch. One console with full control to patch all your servers in different availability zone and regions. Amazon EC2 running Microsoft Windows Server is a fast and dependable environment for deploying applications using the Microsoft Web Platform. Amazon EC2 enables you to run any compatible Windows-based solution on AWS' high-performance, reliable, cost-effective, cloud computing platform. Common Windows use cases include Enterprise Windows-based application hosting, website and web-service hosting, data processing, media transcoding, distributed testing, ASP.NET application hosting, and any other application requiring Windows software.